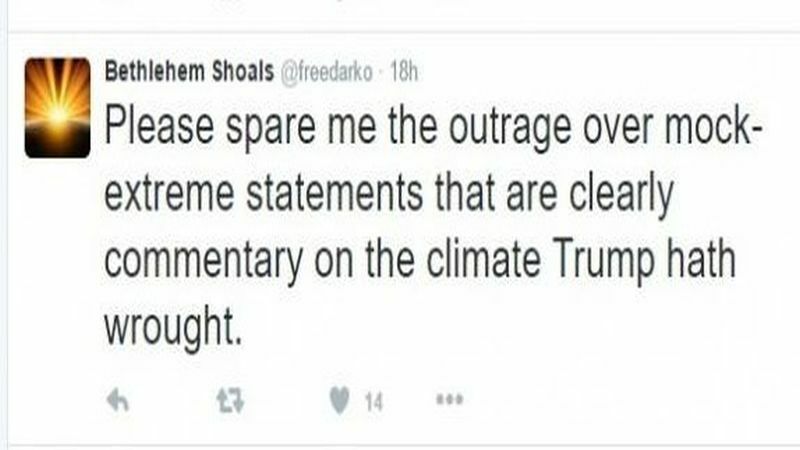 GQ Magazine Writer Wants To Kill Grieving Mother Over Her RNC Speech! 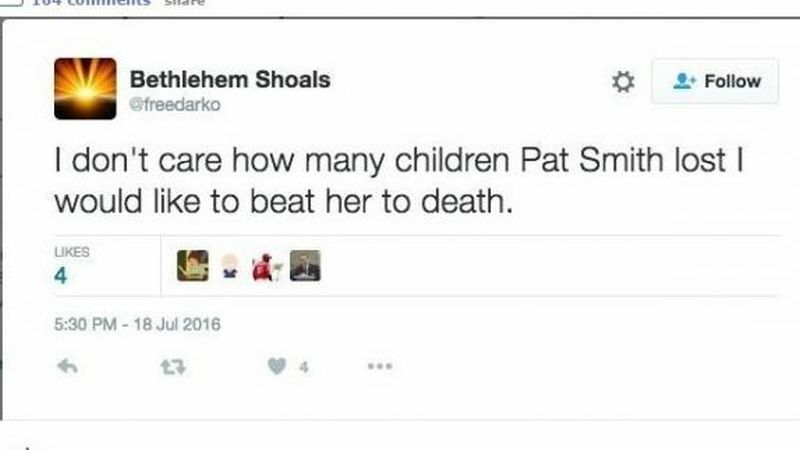 GQ Magazine basketball writer Bethlehem Shoals (real name: Nathaniel Friedman) took to Twitter Monday evening following the RNC speech of Pat Smith, the mother of Sean Smith, who was murdered with three other Americans in Benghazi in 2012. Apparently Mr. Shoals didn’t appreciate Mrs. Smith’s criticism of Hillary Clinton and her roles in and after the Benghazi attack. Shoals didn’t stop there. He dug a little deeper and tried to blame his anger on Trump. Eventually he figured out that his words were causing a problem for some – probably when the Twitter bombs began falling. It didn’t take too long for him to half-heartedly apologize for his words, even if he didn’t apologize for his attack on Mrs. Smith. Under no circumstances is it okay to invoke violence against women. As outraged as I was byparts of Pat Smith’s speech, to use this kind of language as a means of expressing that feeling was completely out of bounds. I also completely understand how, regardless of my intent, it was extremely triggering for a lot of people. And for that I am genuinely sorry. I give him credit for the apology. It seems honest and sincere. Although it doesn’t explain in any way his over-the-top anger at Mrs. Smith, it’s a start.